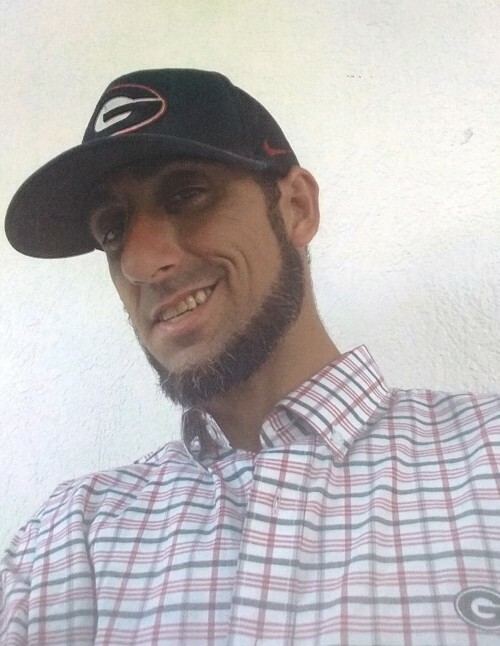 David Alan Turner, 33, passed away on Thursday, September 6, 2018 in Roswell, Georgia. The family will be receiving friends on Sunday, September 9, 2018 from 5:00 to 7:00 p. m. at Albritton Funeral Directors. A private family memorial service and burial will be held at a later date. Mr. Turner was born March 27, 1985 in Tift County to Spencer Mercer and Christie Turner Suggs. He was preceded in death by his paternal grandparents, Bob and Frances Mercer. Mr. Turner attended Tift County Schools and was a residential construction worker. He lived most of his life in Tift County and was an avid fisherman and Georgia Bulldog fan. He was a skilled carpenter and loved his work and his customers loved him. He was a kind and respectable young man. He loved his family and his three children. Mr. Turner is survived by his Father, Spencer Mercer and his Mother and step-father, Christie and Harry Suggs, Jr. of Moultrie; one daughter, Rylee Gaddy of Moultrie; two sons, Jayce Gaddy and Dawson Gaddy of Moultrie; one brother, Blake Mercer of Omega; maternal grandparents, Gloria and Monty Gunn and Wallace Turner. In lieu of flowers, donations made to charity of choice.